In October we put on another Art and Science of LoveWeekend Workshop. It was our biggest workshop to date. As we reflected on the success of the workshop we realized there are many reasons we love this work. 1. We love seeing couples committed to working on their relationships. 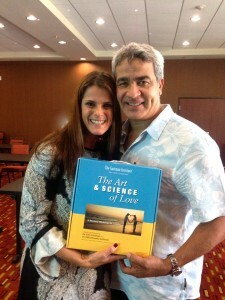 At this workshop we had couples travel far and wide to deep their connection, including Virginia, Illinois, Mexico and even South Africa. Good things happen when couples commit to building friendship and intimacy. 2. The fact that we had couples from such diverse locations speaks volumes to how Gottman Method Couples Counseling is spreading. Therapists trained in this method are now in Australia, Canada, Korea, Norway, Sweden and Turkey. A therapist from Mexico attended our workshop and she now is seeking Level 1 training. It is exhilarating to be involved in this global movement. 3. We love and appreciate the support of our partners in putting on our workshops. Both of our husbands help us role play techniques taught over the course of the weekend. We demonstrate how to deal with actual issues from our personal lives. Invariably evaluations show this to be a favorite part of our workshop. Seeing the vulnerability of our partners and learning that all couples have conflict make this approach very accessible to participants. 4. We love that this is a comfortable process for couples. Couples appreciate that we make the workshop fun and interactive, yet a private, intimate experience. It is not therapy yet yields the same results as 6 month of marital therapy. 5. This material works! Time and again we have seen couples re-ignite the flames of passion, smooth out rough spots or make a complete transformation in their relationship over the course of the weekend. Gottman Method Couples Therapy is based on 40+ years of research and the techniques used are powerful. At the end of every initial couples therapy session I ask the couple to tell me what they hope to achieve by coming to counseling. The number one response is to improve communication. They have become ships passing in the night, no longer talking to one another. Prior to leaving my office we must coordinate a time for the three of us to meet again. The simple act of scheduling an appointment becomes telling of the pecking order in their relationship. The order is typically 1) work schedules, 2) children’s activities, 3) activities with friend’s or extended family members, 4) personal obligations like salon appointments or cross-fit, and finally 5) their relationship. What does putting your relationship last on the list communicate to your partner? When couples tell me they have a problem communicating, I am quite sure they are referring to conversation. But the definition of communication according to the Merriam-Webster dictionary is “the act or process of using words, sounds, signs, or behaviors to express or exchange information or to express your ideas, thoughts, feelings, etc., to someone else”. It is true that happy couples talk more, but they also communicate caring, interest, respect and appreciation in myriad other ways throughout the week. How do they do it? Drs. 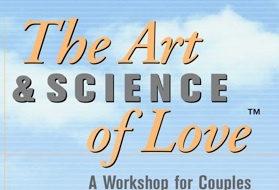 John and Julie Gottman followed up with couples who attended their Art & Science of Love Weekend Workshop. They found that successful couples reported devoting, on average, six hours per week to one another. Skills learned in the workshop taught them that little things can make a big difference. We all have competing obligations, but devoting five out of 168 hours is manageable for all couples once they make the health of their relationship a priority. 1. Have a daily goodbye/parting ritual. Spend a few minutes talking about what each of you has going on that day. Being curious about what your partner has planned expresses interest in them. 2. Have a daily coming home/reunion ritual. Spend 10 minutes each communicating high and low points of the day. Be supportive of the stressors your partner experienced and communicate warmth and understanding. 3. Express fondness and admiration. Call, text, leave notes, or say it face-to-face, but find a few minutes each day to express what you like about your partner or what they are doing right. 4. Be physically affectionate. Hold hands, snuggle on the couch or give a back rub. Be sure to kiss hello, goodbye, good night and good morning. Physical affection conveys tenderness and caring. 5. Have a weekly date. Find time each week to devote a few hours to each other. Ask open ended questions and explore your partner’s thoughts and feelings on everything from where they want to go on vacation to what their biggest fears are. Even if you can’t afford a sitter or expensive restaurant, sit out on the patio after the kids are in bed and devote time to one another. Dates are meant to be fun and relaxing and a way to re-connect. 6. Process a fight or regrettable incident. Even if it has been a rough week, don’t store up your anger and resentments by shutting down and turning away from your partner. 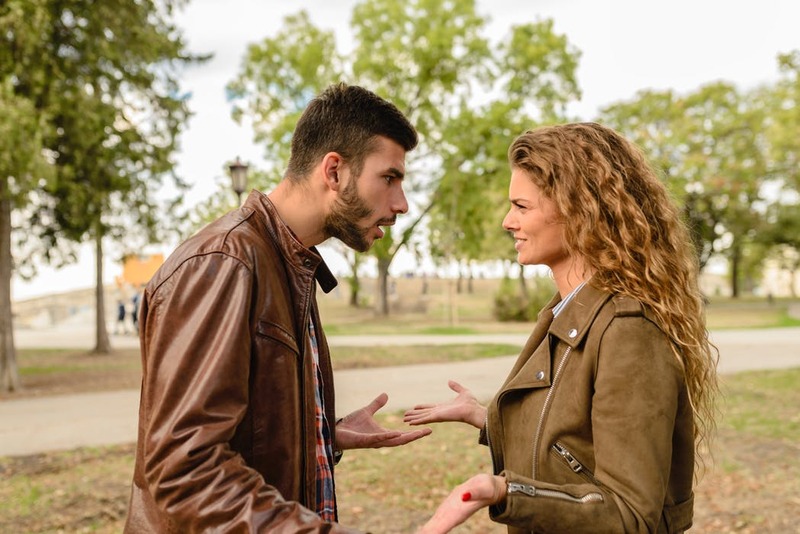 Process the deeper meaning of conflicts and you will be surprised by how much you learn about your partner and how you can feel more connected in the process. The bottom line is, if you feel like you and your partner are not communicating well, expand your definition of communication and find five hours in your weekly schedule to devote to one another. Truer words have not been spoken. Most couples have the same arguments over and over and over again. In his research, John Gottman found that these perpetual problems account for 69% of the issues couples face. In long term studies, the date on the calendar was the only thing that changed. Why do couples have perpetual problems? The reason these hamster wheel arguments occur is because compromise fails to work on some issues. Take religion for example. When one partner is Catholic and the other is Jewish they may not have an issue before they marry and have children. But once the kids come along they may deeply desire their children to practice their faith. They dig their heels in because they think their views are correct and their partner’s are misguided. Over time these hot button issues can become gridlocked. When this happens both partners refuse to budge on their position and dig their heels in further. The more they defend their position on the issue, the more they feel criticized and disliked by their partner. Just like deeply held convictions, personalities also don’t change over time. An extroverted husband will never make his introverted wife morph into a social butterfly, no matter how great a case he makes that extroverts are better. In a word, dialogue . . . talking with the intent to understand and accept your partner rather than fighting and criticizing in an attempt to make them see how deeply flawed they are. 1. Came to epiphany on key area of conflict, which helped us move forward. 2. It gave me the tools to address major conflict area and confidence to use them. 3. Gave me hope that my husband will understand that he can have a perception of a situation and mine may be different. 4. Perpetual issue discussion…we need improvements in this area and I think this helped us take steps in the right direction. 5. Processing past regrettable incidents was very helpful in talking and being heard on an issue we had felt bad about for 2 years. It gave us hope that we will be able to gently take out the garbage. 6. More understanding on both sides of gridlock issue has been established. When couples can accept one another’s differences, they tend to mellow over time and can often find amusement in the situation. 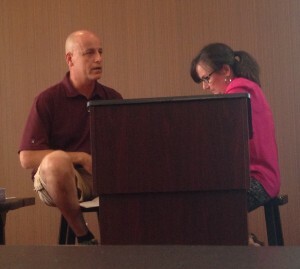 It’s like the movie When Harry Met Sally. Throughout the movie it drove Harry nuts that Sally ordered everything on the side. But by the end of the movie he came to accept it and said I love that it takes you an hour and a half to order a sandwich. We are on the brink of divorce and I can’t get my husband (or wife, or life partner) to go to marriage counseling? What can I do? Believe it or not, distressed couples wait an average of SIX years before seeking the help of a marriage counselor. Unaware of the slow erosion that is taking place, they don’t notice the Four Horsemen of the Apocalyse have set up camp in their home. Oh, they may know they have some degree of unhappiness, but they keep waiting for the other person to change to get the relationship back on track. When the fog begins to lift and one partner accepts that the relationship simply is not working, they have an AHA moment and begin googling couples counselors. 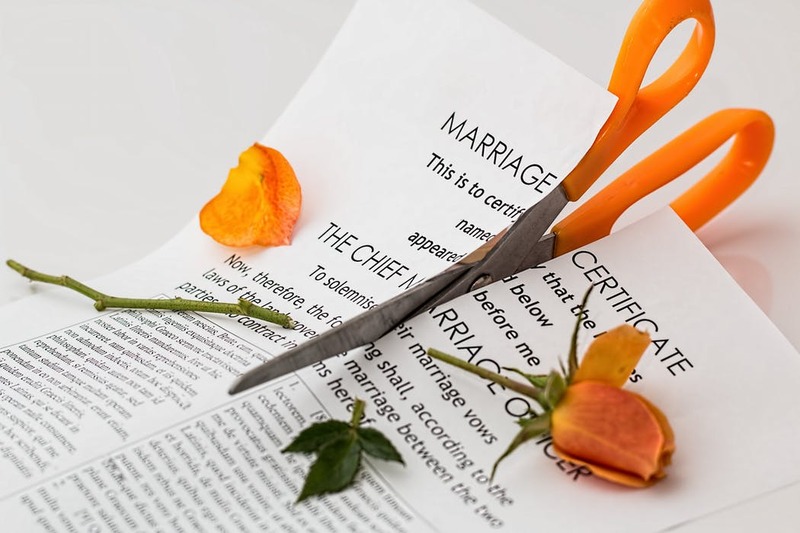 Finding a few names they are sure their partner will want to dispel their pain with the help of an experienced therapist. When they are met with There’s no way in hell I am airing our dirty laundry in front of a therapist. I had a previous bad experience in counseling and I don’t believe in therapy, a sense of panic sets in. Stop making your partners flaws the main reason you need counseling. Take ownership over your feelings and say things like I am so sad that we have become so distant. I miss who we used to be as a couple. Please go to counseling with me so we can get our happiness back. Ask your partner to go to ONE session. Many times resistant partners will relax with an experienced therapist and agree to join in the process. If your partner is using the cost of counseling as a reason to not go, check with your insurance company. Many plans cover marriage/family counseling. It is possible that you have this as a covered benefit and will only have to pay a copay. Or your employer may offer an Employee Assistance Program (EAP) and you can get a few free sessions. Check with your Human Resources Department. Consider a couples workshop or marriage retreat, like The Art & Science of Love. This Gottman Method workshop is ideal for resistant partners because it is not therapy, although the effects are like having six months of couples’ therapy. The workshop is educational, research based and there is no public disclosure. Go to counseling on your own. While nothing replaces the dynamic setting of couples counseling where both partners are working on issues, individual counseling may be of some benefit. You will have a safe environment to explore your feelings. If you are truly willing to work on the relationship, you will begin to take ownership over how your behavior has contributed to negative patterns. 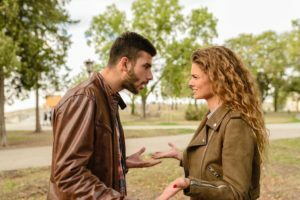 A word of caution though, individual counseling that is just used for venting or trashing your partner will not be effective, and in fact, can be harmful to the relationship. If after trying these things and your partner is still unwilling to get help, you might be faced with the fact they are unwilling to work on the relationship. Not only are they avoiding the therapist’s couch, they are avoiding working on it in any form or fashion. This can be a painful realization and you may want to seek individual counseling. Couples Counseling and Psychotherapy Associates provides service to Kingwood, Humble, Atascocita, Porter, Fall Creek, Summerwood, North Houston and surrounding areas. © 2019 Couples Counseling & Psychotherapy Associates. All Rights Reserved.